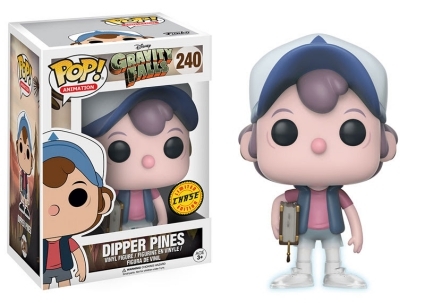 The crew from Roadkill County get stylized with the Funko Pop Gravity Falls set. The Pop! 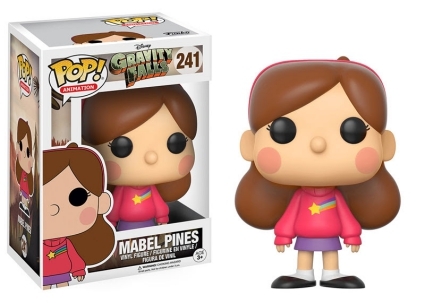 release offers a few figures for the acclaimed animated series Gravity Falls, which follows pre-teen twins Dipper and Mabel during a summer vacation with their Great Uncle Stan, a.k.a. Grunkle Stan. 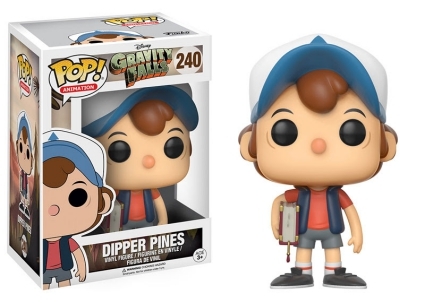 Born five minutes after his sister, Dipper Pines leads the Funko Pop Gravity Falls lineup wearing his signature pine tree hat with thick bangs sticking out from underneath to hide the birthmark on his forehead. The teen, dressed in his everyday attire, clutches the legendary journal from the forest by his side. Contrasting with her brother, Mabel Pines rocks one of her always-in-style sweaters. The pink one reflects her unwavering positivity, featuring a shooting star with a rainbow for its trail. 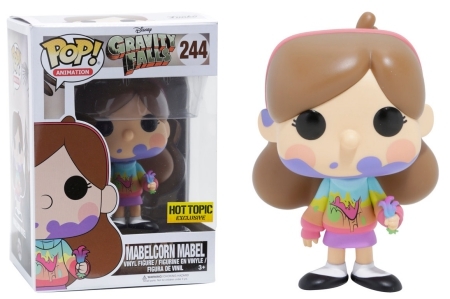 Of course, her cheeks are blushed as Mabel embodies the stereotypical boy-crazy girl. 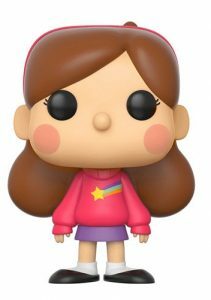 Shop for Funko Gravity Falls figures on Amazon. 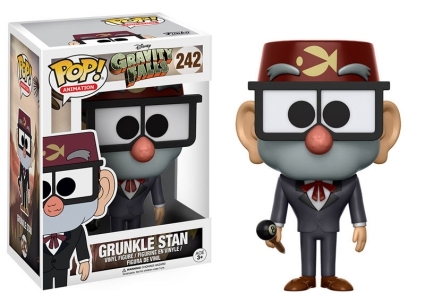 Other Funko Pop Gravity Falls options include Grunkle Stan classically dressed in a maroon fez, black suit and a bolo tie. Additionally, a gray beard covers his entire face stopping just below his square-framed glasses and he has the 8-ball cane by his side. 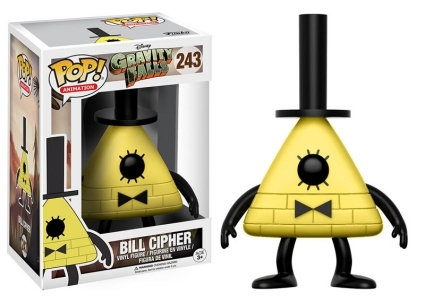 Fans and collectors of Gravity Falls can also find Bill Cipher, the yellow triangle demon, wearing a rather large top hat with a bow tie precisely centered below his one eye. 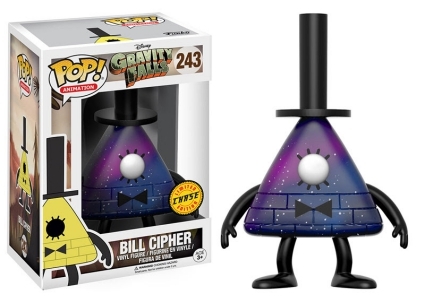 Limited chase variants for a pale-colored Dipper, as well as a night-sky Bill Cipher, average 1:6 boxes. 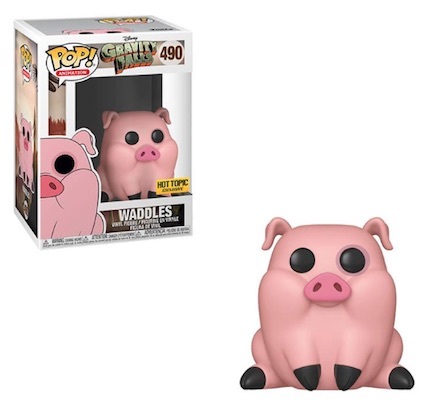 Waddles the pig is exclusive to Hot Topic. FUNKO POP! 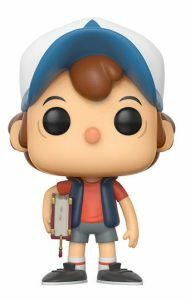 | Gravity Falls | Dipper Pines - NIB! !